2day I’ve 4 meeting 2 attend. SK Raub Indah, SK Raub Jaya, genset test PULAPES MPOB & Auto Bridal. So yesterday I discuss with En Zahari. He told me dat Abg Ijam had postponed da factory test in2 next Tuesday so I’ll going 2 meeting SK Raub Indah & SK Raub Jaya while he’ll going 2 Auto Bridal. So I prepared my things 4 da meeting. However, my intuition is really want 2 call subcon electrical 4 PULAPES project. So I called him yesterday @ 5pm. He told me nobody inform him bout da postponed. He said everything has been set up 4 testing. OMG…. I’ve 2 be there so I ask K.Gee 2 call architect and tell him I’ve got a fever. Hehe… Fine…..
Let me brief about da genset test. 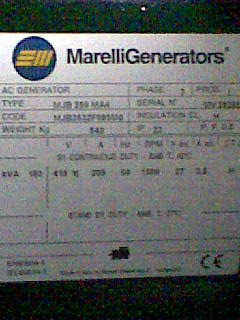 Genset supply 2 my PULAPES project is 150 KVA. 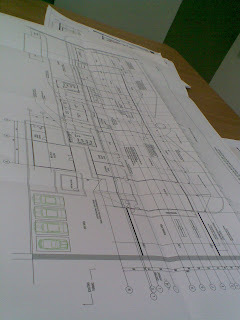 B4 the factory test, subcon electrical need 2 submit 1st their proposal drawing with brand and I’ve 2 approved the drawing. They proposed engine model PERKINS 1006TAG with the specification are engine speed 1500rev/min & gross engine power 135kW @ 181 bhp while alternator from model MARELLI MJB250MA4 4pole with continuous duty type H. So b4 testing can be done, I’ve 2 check isn’t da genset used same as wat I’ve approved. Yes, branding approved so testing can be done. Bcoz lack of time, 4 genset test I decided 2 make it 5min 4 0%, 30min 4 50% and 75% load, 1 hour 4 100% load and 15min 4 110% load. After briefing bout genset equipment & test procedure da genset test started @ 10.55am. Total test take 2 hours 20 minutes. Then 10min takes 4 fault simulation which involve high water temperature, low oil pressure and overspeed test. While testing, I sit @ the small acoustic room which can enter max 8 persons. Why??? Bcoz da noise from genset really can make u deaf so beware…. 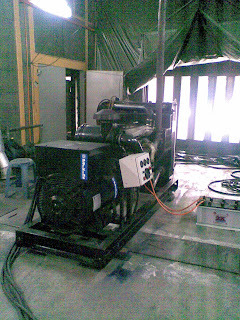 Da genset test also doing in another acoustic room. I’m also have been given ear plug. 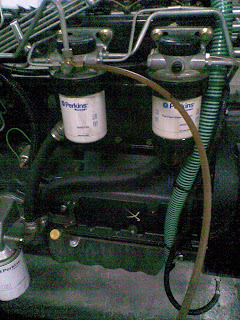 In case I want 2 check the genset while running da test, I’ve 2 use it. Xnk guna pn xpe tp kebal ke telinga tu. Hehe… 2 hours in there really make me uncomfortable but I’ve 2 relax. Finally… da testing done @ 1.30pm and we’re going 4 lunch (kari kepala ikan, ayam sweet sour, 4 type vegi, butter prawn, sizzling tofu and honeydew juice... yummy....) @ Glenmarie. After lunch, I drive my car 2 another meeting at Oxford Alliance office. I reach there @ 3pm. I meet En. Amran & he tell me dat I’m early. Meeting will be started @ 4pm. Ler…. Punye lh schedule time. Tup..tup… awal lh plak…. I just get noticed 2 be there b4 4.30pm. 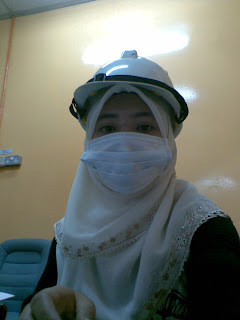 oh..kena pakai face mask erk.